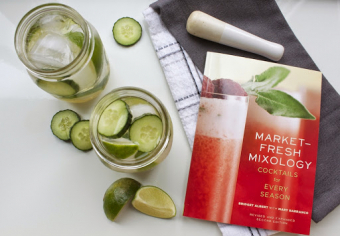 Market-Fresh Mixology by Bridget Albert with Mary Barranco help you make the most of your farmers market in a glass, especially the cucumber caipiroska. I love the word muddle. As a writer, I have it high on my favourite words list. It sounds like its meaning — clouded, confused, unclear — but more melodic and literary. And until recently, I thought it was merely a sweeter sounding synonym for all those words. It wasn't until I cracked a copy of Market-Fresh Mixology: Cocktails for Every Season ($19.95 Agate Surrey) that I learned it was a bona fide bartending term and a necessary step in the making of some swoon-worthy libations. But then you are reading the blog of someone whose limited cocktail knowledge was gleaned while stocking shelves at Pier 1 Imports in university. It was during that time that I mastered the difference between a highball and old fashioned glass while honing my gift for convincing people that they'd also need a snazzy set of seasonal swizzle sticks to go with their glassware purchases. What can I say? I'm a beer girl. My drinks of choice are simple in part because my knowledge of mixology has been limited to staid vodka and tonics. But having a copy of Market-Fresh Mixology, written by master mixologist Bridget Albert with Mary Barranco, makes me look like a mistress of the mixed drink. It's filled with dozens of seasonal drink recipes that are not only approachable but make me want to forgo the beer altogether. All that's needed is a trip to the farmers market and the liquor cabinet. Albert, director of the Academy of Spirits and Fine Service, and Barranco make it easy to get your drink on in a fresh, seasonal way, first by devoting several pages to easy explanations of the tools one needs to mix like a pro. Think shakers, strainers and yes, a muddler. Albert and Barranco provide an easy-to-read run-down of what spirits to include in a well-stocked bar, highlighting the sometimes subtle but important differences between whiskeys, tequilas and brandies. Before delving into the drinks of the four seasons, the duo also spills on how to make a variety of simple syrups, sour mixers and purées. 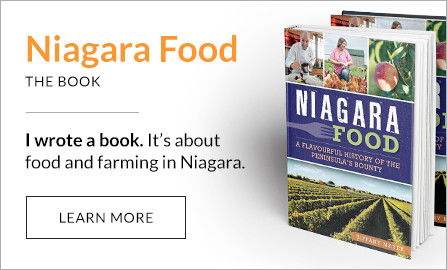 Next comes 76 pages of beautiful recipes for dozens of creative cocktails made with everything from beets and carrots to those fruits that are quintessentially Niagara: peaches, plums, pears and even the Concord grape. Instructions for seasonal infusions, ranging from the marriage of strawberry and rosemary with gin as the officiant, to a savoury onion infusion that brings together jalapeno, peppercorns and bell peppers in vodka, are also included to help readers build a bar worth boasting about. 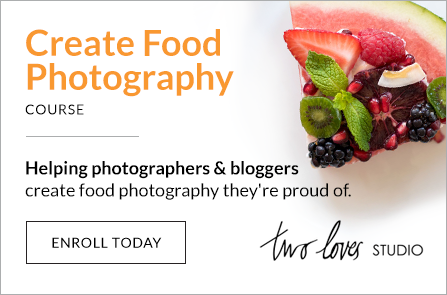 The glossy full-frame photos, shot by James Beard Award-winning photographer Tim Turner, leave me craving virtually every drink between the covers of this book but Albert's simple recipes, which include a list of tools needed for each concoction, make it possible to have my thirst quenched in no time. The intention of the book is clear. It's to ensure the average home bartender can look like a whiz with a muddler, rocks glass (another name for the old-fashioned!) and some vodka. Or with any other bar implement and spirit. Albert and Barranco show that novices need not be overwhelmed when mixing a drink yet they also have plenty to offer the bartender comfortable pulling a Tom Cruise a la Kokomo with a cocktail shaker. In short, I love this book. It's the perfect resource to keep handy when entertaining or even when you want to treat yourself to some downtime and a brown derby. Market-Fresh Mixology was originally published in 2008, just after 'locavore' became part of our lexicon and eating seasonally was once again starting to make sense to people. Still, it seems that only now has such a way of living truly become habit for many rather than a trend, so releasing Market-Fresh Mixology's revised and expanded second edition in 2014 is perfect time, really. It doesn't hurt that there's been an explosion of craft distilleries fermenting fine spirits to make the reprinting of this little gem of a book even more timely and relevant. "I want my readers to gain confidence and experience so they know they can make really great cocktails right in their own homes," Albert says. "They no longer have to serve cocktails with store-bought ingredients. They can truly elevate what they serve with just a little preparation. I also want them to enjoy their new craft and delight in what they do." There's nothing muddled about that. To a rocks glass, add lime wedges, simple syrup, cucumbers and vodka. Muddle until the ingredients are well combined. Pour ingredients from rocks glass to mixing glass while reserving the rocks glass. Shake well. Dump all ingredients from the shaker back into the seasoned rocks glass and serve.